Our Lovingly Handmade and 100% Organic Cotton - New with added extra thickness. 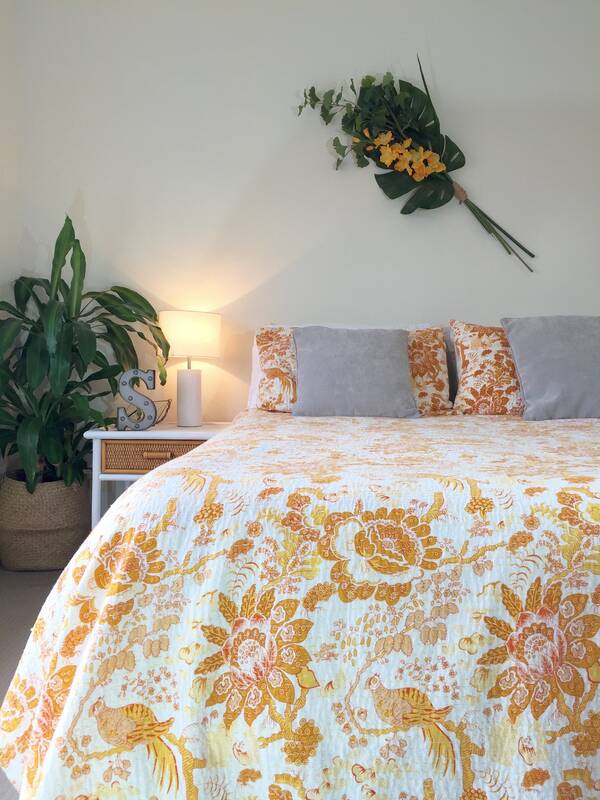 This Kantha Throw is unique to The Throw Co. Our newest style features the beautiful and ever popular Seasons - Autumn print in a gorgeously soft, slightly padded quilt. 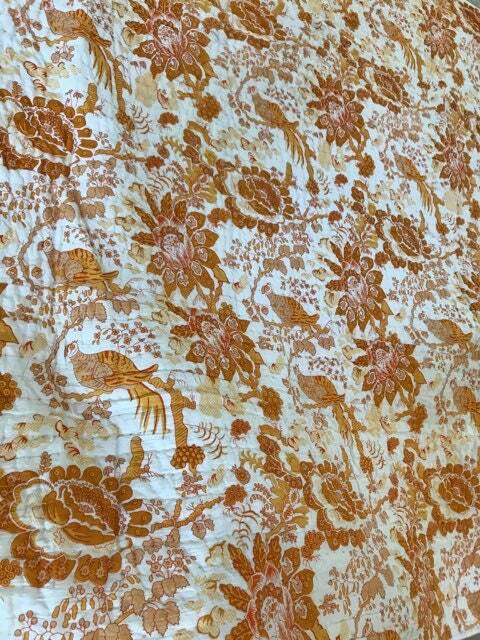 The traditional Kantha stitch runs througout. 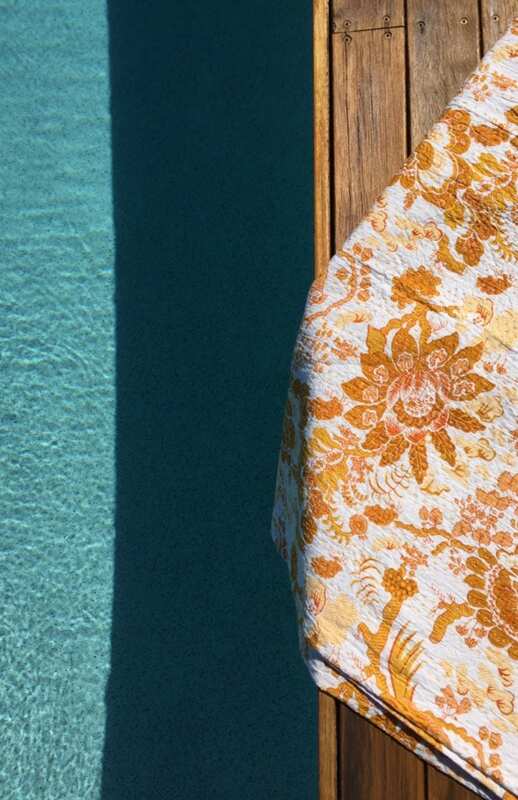 Vintage inspired, on trend and in Mustard Yellow - This throw is a gorgeous addition to any home. 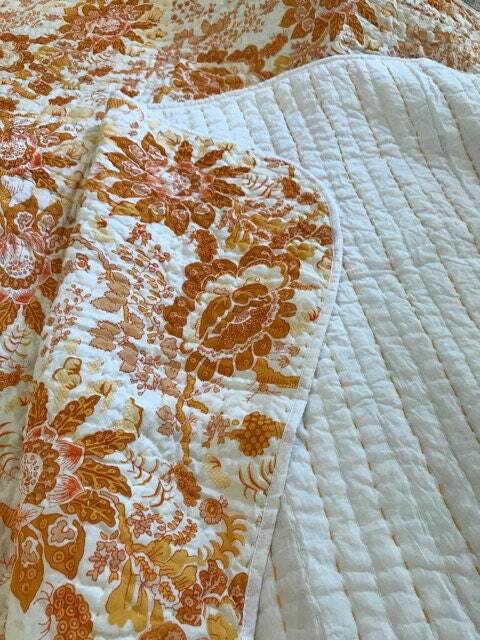 All quilts are reversible so you can create the look you want. poking out throughout the quilt. This is not a fault, it adds to the charm and uniqueness of each and every quilt.